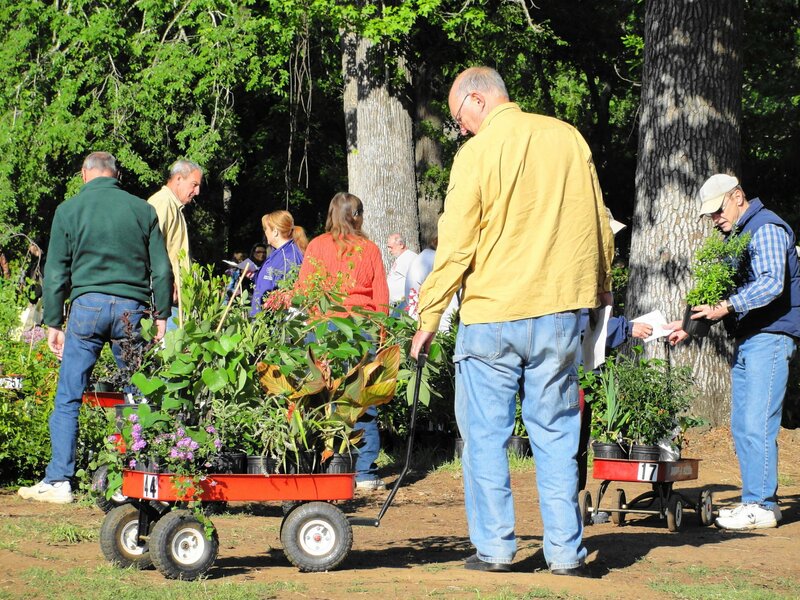 NACOGDOCHES, Texas – SFA Gardens at Stephen F. Austin State University will host its annual Garden Gala Day Spring Plant Sale and Earth Day Celebration from 9 a.m. until 2 p.m. Saturday, April 11, 2015 at the SFA Pineywoods Native Plant Center, 2900 Raguet Street, in historic Nacogdoches, Texas. A wide variety of hard-to-find, “Texas tough” plants will be available, including Texas natives, heirlooms, tropicals, perennials, shrubs, trees, unusual species, and exclusive SFA and Greg Grant introductions. Most of the plants are extensively trialed in the gardens before being offered to the public and most are produced by the SFA Gardens staff and volunteers. 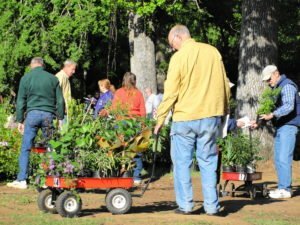 This popular event benefits the SFA Mast Arboretum, Pineywoods Native Plant Center, Ruby M. Mize Azalea Garden, Gayla Mize Garden, and educational programs hosted at the gardens. The educational programs at SFA Gardens reach over 15,000 students of all ages on a yearly basis. The 8th Annual SFA Earth Day Celebration presented alongside the SFA Spring Garden Gala Plant Sale will begin at 10 am and feature informational booths, guest speakers, activities for kids of all ages, free local food, live music, and more. Held in the beautiful setting of the Pineywoods Native Plant Center, the outdoor festival is sponsored by Campus Recreation’s Outdoor Pursuits program, the SFA Student Sustainability Coalition, SFA Gardens, and Nacogdoches Naturally. The celebration is an opportunity for members of the SFA student body and the Nacogdoches community to join together in furthering the vision of a sustainable campus and community. Come join us at both of these exciting events! Parking is available at the nearby Early Childhood Research Center, 2428 Raguet St. The public is encouraged to arrive early and bring a wagon. For more information, call (936) 468-4404, or visit www.sfagardens.sfasu.edu two weeks before the sale for a list of available plants. The Arbor Gate staff enjoys contributing to the blog along with our talented writers. As much as we enjoy contributing to this blog, we are the first to admit that we’re much better with a shovel than a keyboard!